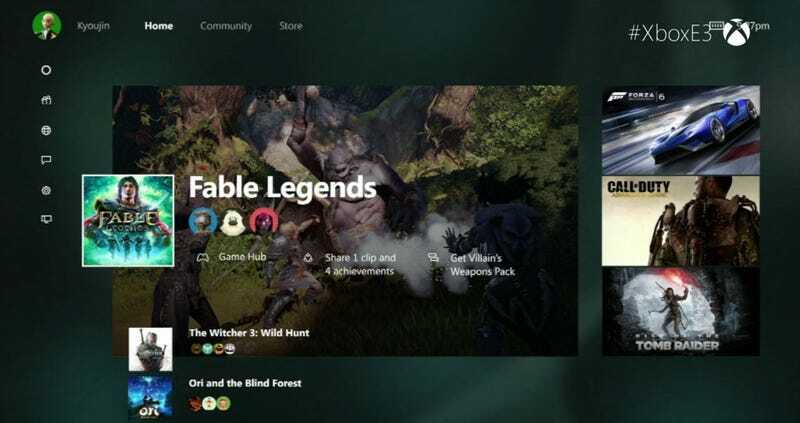 As part of an update due in the Fall, the Xbox One will be getting a new dashboard user interface. Looks nice! Microsoft is promising improvements to things like community interaction (via a new friends list system), but most important to users will be the pledge that this is going to be faster than the console’s current UI. Also cool: the addition of Microsoft’s Cortana UI assistant (also found on phones and Windows 10), which can help you out with all kinds of actions, even during gameplay (you can see it in action above).